We use Mammut Pulse and Element Barryvox Avalanche Transceivers during snow and ice rescues. 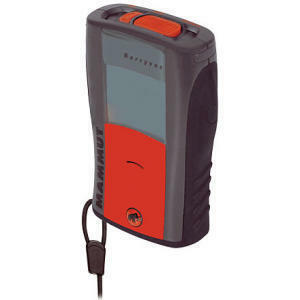 These avalanche transceivers provide the ability to perform pre-search triage and find multiple buried victims quickly. For all burials, the Pulse uses a 360 degree direction arrow that leads you along the shortest path to the victim and eliminates the need for a final grid search. For multiple buried victims, the Pulse transceivers can search for up to eight signals at once. A triple antenna eliminates all signals except the one you’re following and marks victims once they’re located. This transceiver even shows you which signals are being searched for by other Pulse users, so your search is more efficient. If you’re the one buried, this Mammut transceiver also has a motion sensor that detects vital signs and lets other Pulse users know you’re still alive. In avalanche rescue, efficiency is everything; this Mammut transceiver shortens your search and buys time for whoever’s buried.